Today I am teaming up with the Baby Bump Bundle (my most favorite place to shop for expecting moms, baby and nursing moms) to bring you an awesome giveaway! 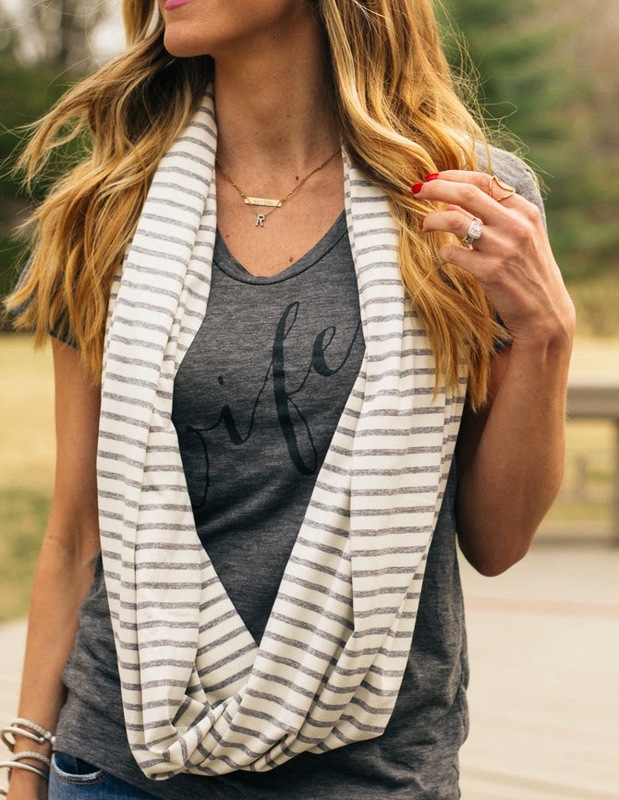 First off, let me tell you about the Baby Bump Bundle, it’s a darling online shop that features hand-picked products and gift bundles for the mom-to-be, newborn babies and nursing moms. The bundles are curated in bundles for mom-to-be by trimester, nursing moms & babies and you can even build your own bundles if you see certain products you want to gift. Below are some of my favorite items from Baby Bump Bundle that I use on a daily basis. 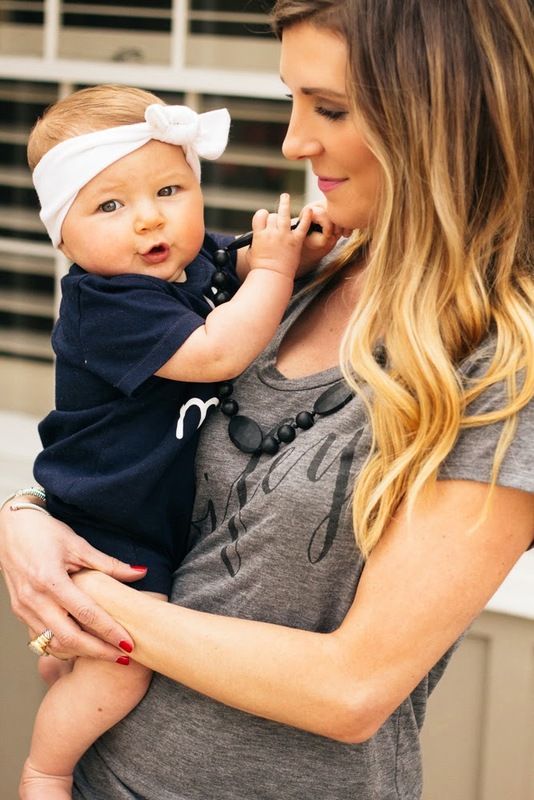 Sutton and I both love this teething necklace. Sutton loves to chew on the soft beads and I love that it distracts her from my pulling my hair and other delicate necklaces. 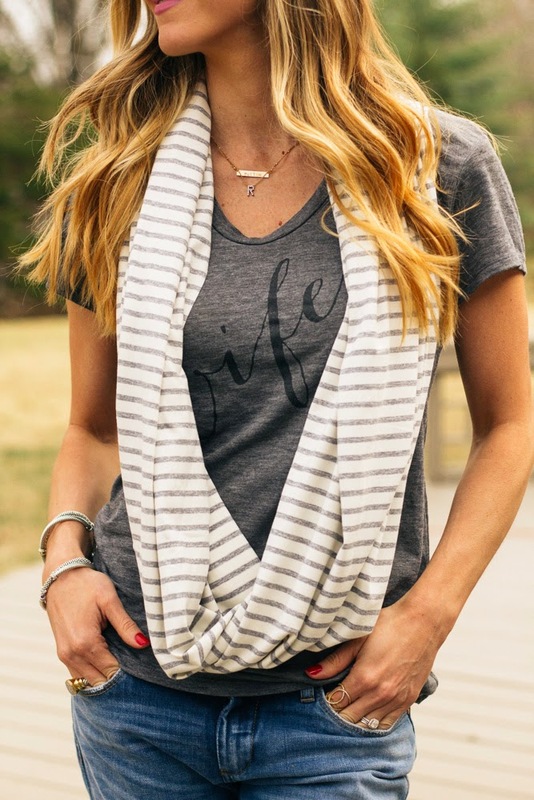 The next item I have to have when we are out traveling or visiting friends/family is the NuRoo Nursing scarf. Not only can this be worn as your favorite scarf, but also can be used several different ways as a nursing cover. It has snaps at the end that let you customize your coverage: wrapped or draped, front and back, over the shoulder or around your neck. The fabric is super soft, breathable and wrinkle free! 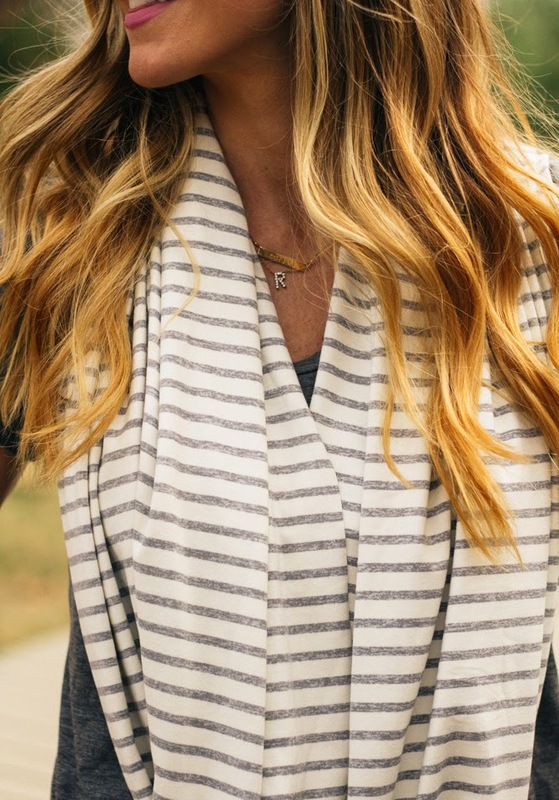 Plus, you can wear this scarf long after your breastfeeding days. 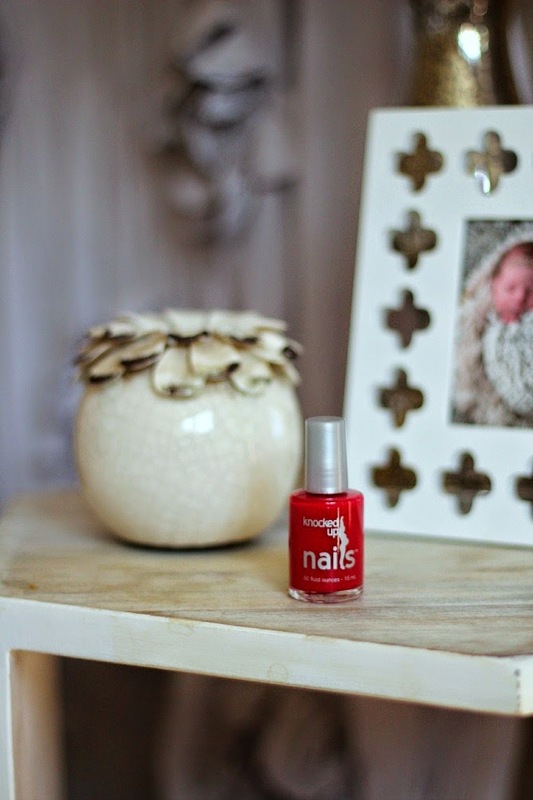 Another great product that I love from Baby Bump Bundle is the Knocked Up nail polish. This nail polish is pregnancy safe, baby and child safe and cruelty free, made in the USA. Bella B massage oil-Sutton gets a baby massage several times a week before bedtime. She loves them, they completely relax her and her skin smells AMAZING! Aden & Anais organic burpy bib-this is so soft and fits perfectly over your shoulder for burping and doubles as a bib for baby! Wubbanub Baby Paci-Sutton loves her wubbanub, easy for her to grasp and put back in her mouth and when she was really little it would stay put and not fall out. Aden & Anais Swaddles-generouse size to allow to swaddle and breathable fabric so baby doesn’t get too warm. Last but not least the Baby Bump Bundle is giving away all three of these items pictured today! 2. Comment on the picture tagging two friends you think would want to know about Baby Bump Bundle! Winner announced next Monday, April 6th. Thank you for this giveaway it's wonderful! your bbay is adorable!